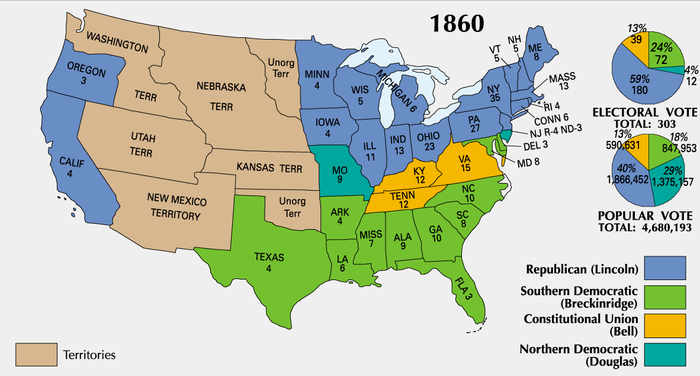 The Election of 1860 contributed to the Civil War because after President Abraham Lincoln was elected he stated that where slavery existed it can continue, but he will not allow it to spread everywhere (the whole USA What mainly started the Civil War was the south seceding or leaving from The UR'S They felt as if the government was getting to strong. They claim that they had no choice but to leave. The word then got around to President Lincoln. He then said that he would fight to keep the south. The Northerners had soldiers already. The South was getting theirs together. The Northerners were soldiers on Southern Land and that is when the Civil War Started. The Civil War was the bloodiest and the only war in America. Who's Who and Who Won What? 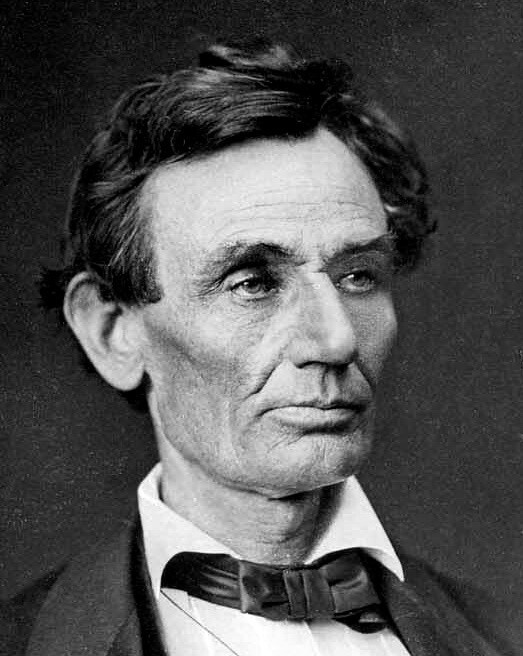 Lincoln got 180 (59%) of the electoral votes and 1,866, 452 (40%) of the Popular votes. Breckinridge got 72 (24%) of the electoral votes and 847,953 (18%) of the Popular votes. The Runner-up for the 16th President of The United States. The victory of Lincoln was a signal for the secession of South Carolina (Dec. 20, 1860) which was followed by Mississippi, Florida, Alabama, Georgia, Louisiana, and Texas. As well as John C. Breckinridge, Lincoln got more votes then Stephan A. Douglas and John Bell.